You are looking at one example (this one sold) of one of a kind vintage styled Open faced Motorcycle helmets. Get your custom one off painted helmet by Artist & Designer Matt Dougan who is known for his Motorcycle and Classic Car Genre fashions, photography and his Vintage Relic Guitars. Order your custom helmet paint, by either sending me your helmet size and type of helmet you prefer and I'll get you a vintage open faced helmet , or send me your helmet and any desired art and I'll do up the custom paint for you. This would make a cool gift for your biker friend or Family member. 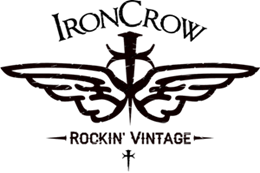 Be sure to check out all of my other items which include vintage Leather jackets, boots, sunglasses , goggles etc.....If you are looking for that something vintage and cool contact me. I can find it for you. Once I receive your order expect up to 45 days for custom order to be filled.